These might be the best things I’ve ever had. They literally taste like a s’more in bar form. 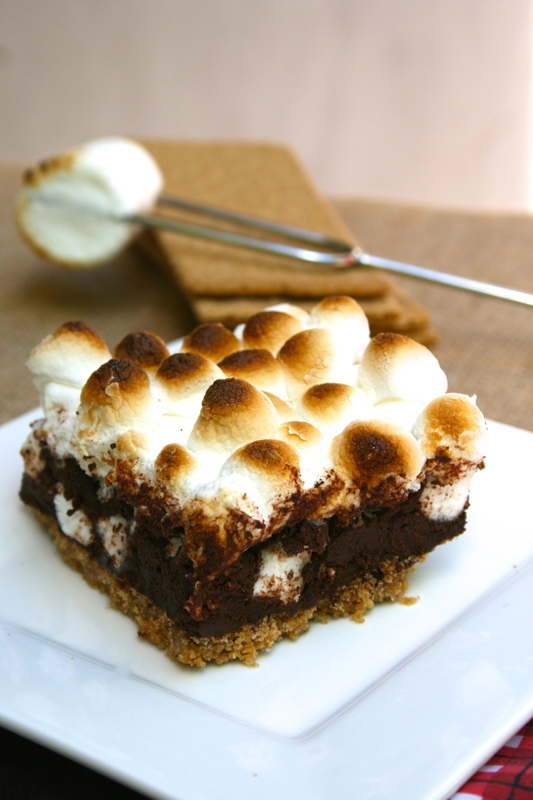 You start with an amazing thick graham cracker crust, which you top with a mixture of soft chocolate ganache and mini marshmallows, then you pour more mini marshmallows on top and toast the bars under the broiler. You have to leave the bars in the fridge so the ganache will set, but trust me, it’s worth it. My inspiration is from here, but I used a different crust, pan size, different amount of marshmallows, etc. Blend all ingredients in a food processor until they’re the texture of coarse cornmeal. Press into 8×8 pan and refrigerate for one hour. Preheat oven to 375F and bake for 11-15 minutes. Melt chocolate with milk in a pan over medium low heat and whisk to combine. Transfer mixture to a new bowl and set aside for 10 minutes to cool (transferring the mixture to a new bowl will help to cool it faster). Mix in 1 and 1/2 cups of the marshmallows and pour on top of the crust. Pour the remaining marshmallows on the ganache and put under the broiler for a minutes or two, to toast the marshmallows. Refrigerate for at least 2-3 hours, or overnight. Never had smores but will be eating this very very soooooon! You must! They’re so good! Oh my hell, I just had a physical reaction to this one involving a lot of salivation. These just look so fabulous I had to reblog the recipe. YUMMMMM …………. oh my…would that with a big glass of milk count as a good breakfast??? Those look fabulous!! oh my god i need these in my mouth now. Wow, these look incredible! I am going through a s’mores phase right now and these are speaking to me in a major way. Just lovely, Chloe! Oh my god. I am making these ASAP!!! Those look delicious!! 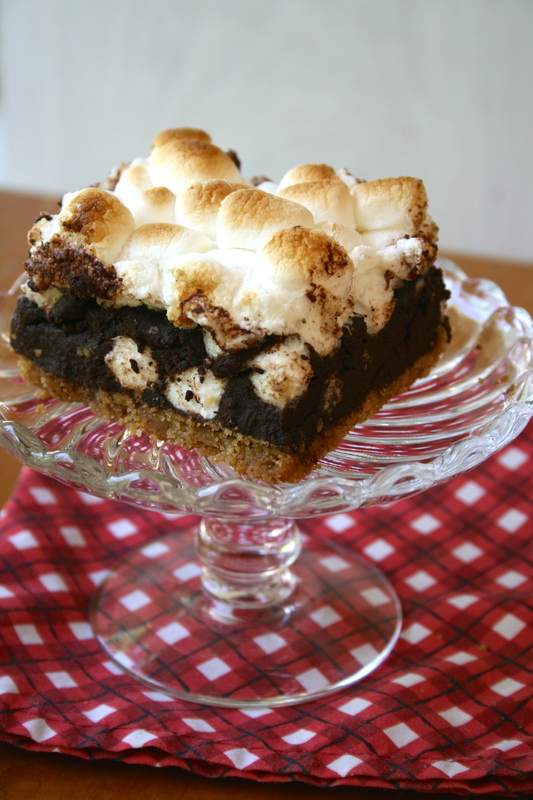 I adore S’mores and now I can have them anytime of the year with these bars! Love the decadence and nostalgia in this recipe! I am gonna try to make them, hopefully I’ll succeed.